When working at a computer it is advisable to have some sort of background lighting. It is less strennous for your eyes if the contrast between the screen and the surroundings is not too big. 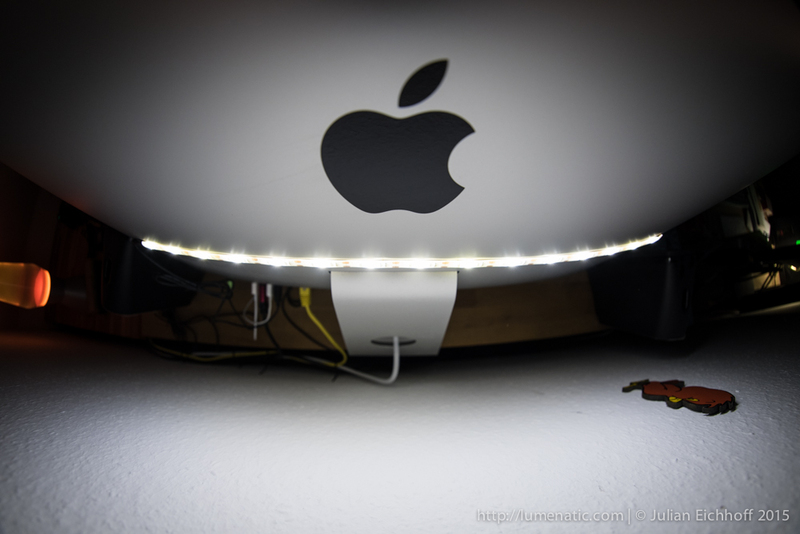 I used to have a lamp on a boom arm which shone behind my iMac. But the lamp tended to get in the way when I moved my electric desk up and down (read my post about my workspace re-organization here). I decided to remove the lamp and find something else which would illuminate the wall behind my computer. 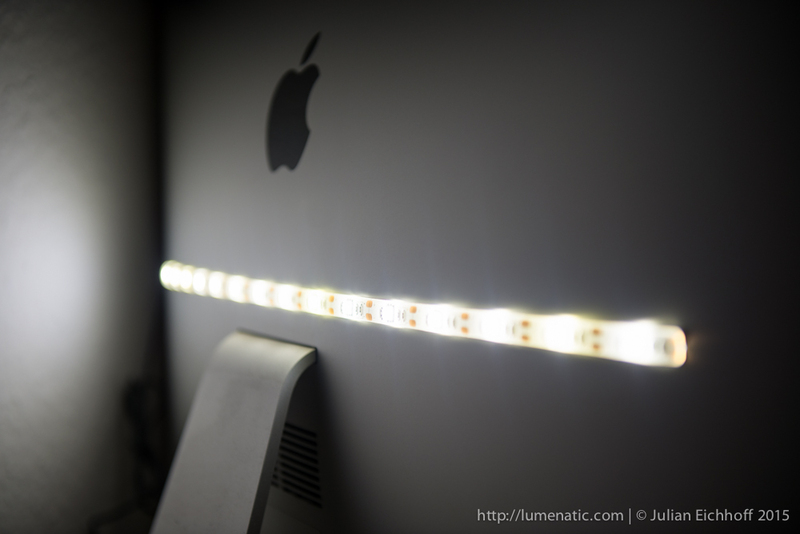 On eBay I found a USB-powered LED strip. 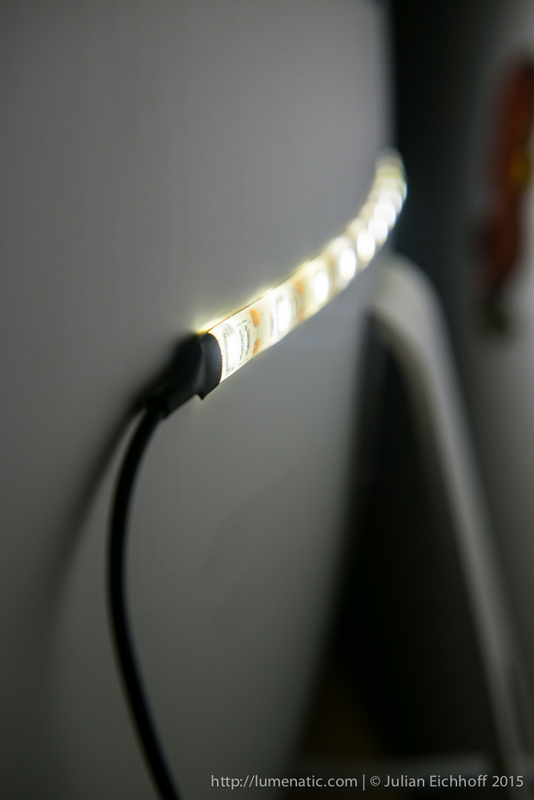 The LEDs are encased in a clear flexible plastic material, the backside of the strip is covered with adhesive tape. 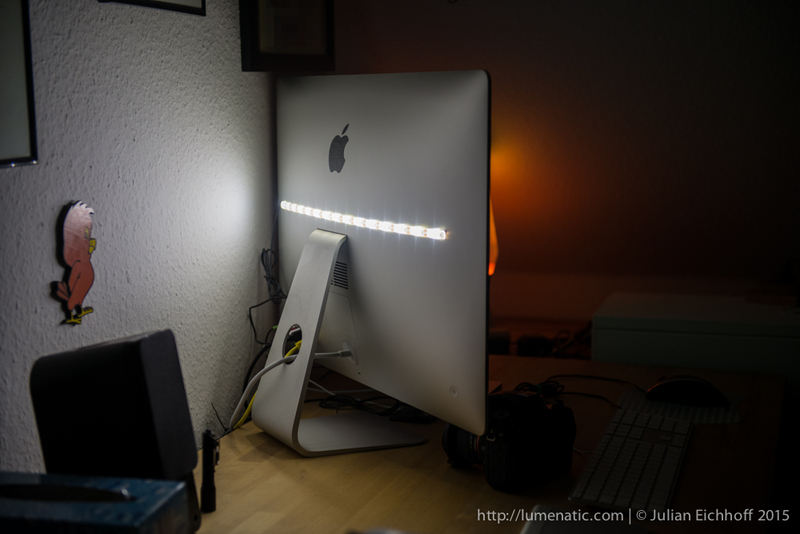 I taped the LED strip to the back of my iMac and plugged the USB – finished. The solution is low-cost (the strip was around 11 €) and quickly installed. There are two minor drawbacks though. Firstly, you lose one USB port obviously. 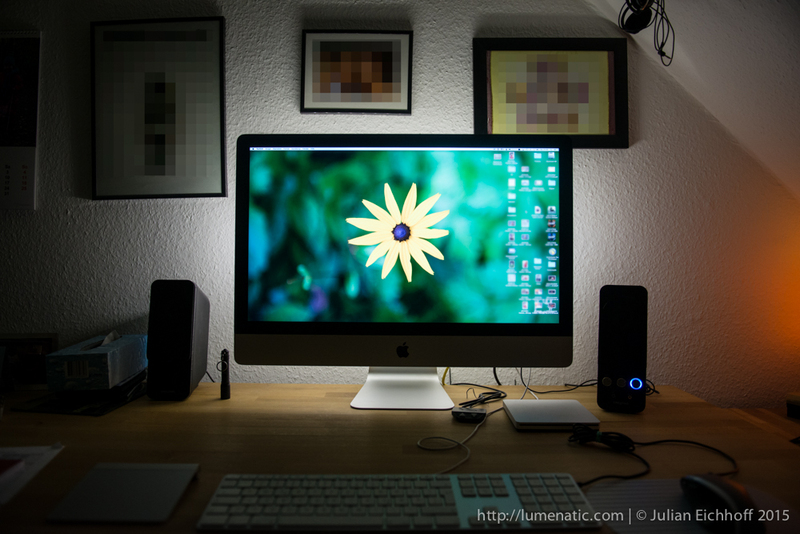 Secondly, when putting the computer in sleep mode (which is what I do, I rarely switch the iMac off) the light stays on since the USB ports stay powered in sleep mode. So you have to unplug the cable every time you call it a day. But if you search for “USB LED strip” you will get plenty of other results.